Wyld is a floral design studio based in NYC. Wyld specializes in thoughtful, seasonal and natural arrangements for all types of events and works hard to be sure all of your design wishes are met with the best quality and utmost care. 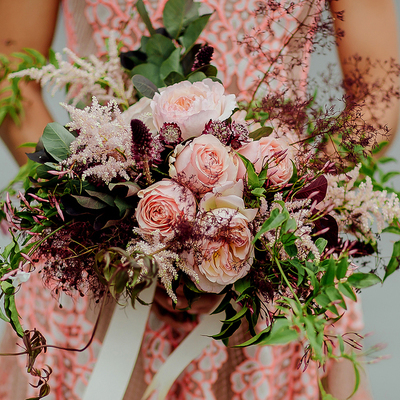 Their carefully selected blooms are arranged to showcase each flower and recreate the balance found in nature and they work with all budgets and styles to help you bring your dream to life. Owner Lydia's work has been featured in countless well-known wedding blogs and has been featured on Good Morning America.